The relationship between slavery and religion is a well-attested one, with Christianity playing a prominent role both in the continuation of slavery and in the abolitionist movement. Every year, the British West Indies celebrate the abolition of slavery in the British Empire, which took place 1 August 1834 (approximately thirty years before all blacks became free in the “Land of the Free”). 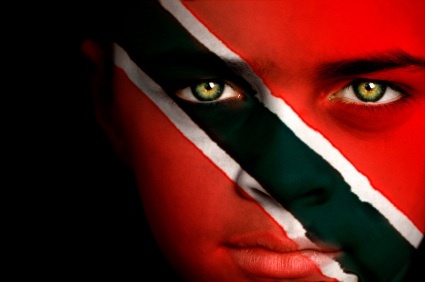 In remembrance of the suppression of indigenous African beliefs by Christian slave-owners, the people of Trinidad and Tobago mark the occasion with a Blessing of the Ground ceremony, celebrating the survival of native spiritual traditions as a symbol of black freedom from white religious orthodoxy. The process of mental enslavement—religion is a spiritual weapon, witchcraft, superstition, heathenism, loathsome pagan idolatry[—]these are just a few of the degrading descriptions of traditional African religion used during the centuries of enslavement. Learning about a better, whiter god was one thing, but there was real fear that if the enslaved actually began to read the Bible and learnt of the teachings of Jesus, that they would have begun to entertain notions of equality. I don’t want you to think that Christians today should be robustly doctrinal and not emotional, or without any sense of the mystical experience of God. I’m merely saying that the pursuit of the mystical experience of God, abstracted from the gospel, abstracted from the mediation of Christ, abstracted from the way we are reconciled to God, can actually become a kind of idolatry, a kind of paganism that sidesteps the cross. In other words, don’t be just robustly doctrinal—be robustly doctrinal and emotional. And, on top of that, it is dangerous to pursue spirituality (such as African shamanism) for its own sake. The spokesperson for spirituality (e.g. Jesus Christ) is more important than spirituality itself; the man who says “do good to your neighbor” is more venerable than the actual deed of doing good to your neighbor. But good deeds are beside the point in a religion preoccupied with the doctrines of grace and atonement. The basic message is, “God became a human and committed suicide so that he would not have to torture you for eternity due to the imperfection that he created in you (and blood must be drawn, no matter what), and, folks, the good news is that he won’t torture you for eternity if you believe he killed himself for you.” Moreover, what is truly ironic about Carson’s accusation of idolatry among primal religions is the fact that the fixation on the Christ figure itself constitutes the supreme idolatry—an excessive devotion to and adoration of a supernatural figure, all in spite of good deeds. At the same convention, speaker Jonathan Stephens heightened the irony when he said on the same theme, “It is hugely important that we open our minds to see the Christ-centredness of the whole Bible—it is all about Him. How do we improve our holiness? By fixing our eyes on Jesus. If Christ is the centre of your life and your thinking, then your life will be transformed by His grace.” In other words, we should open our minds to the idea of closing our minds to every other conduit to spirituality than the holy teacher Jesus Christ of Nazareth. Jesus. Jesus, Jesus, Jesus. Not feeding the hungry, not giving to the poor, not living in harmony with nature. Jesus. Makes one want to break out in song: “Jesus, Jesus, Jesus—sweetest name I know. / Fills my every longing, keeps me singing as I go.” Following this logic, the man who speaks the message is more important than the message itself, despite the fact that the man was extolling the actual words he spoke, and not himself. But what does all this have to do with celebrating traditional African religion on Emancipation Day, with the Blessing of the Ground ceremony which marks a primal return to a more holistic spirituality? Perhaps the black community of Trinidad and Tobago, and the other former West Indian slave colonies, seek to liberate their spiritual conscience from a self-styled authority. Like other pagans and heathens burdened with the guilt that they have been winnowed out of paradise, they proudly refute the unreasonable doctrine that an earth-centered polytheistic religion which nurtures social stability, coping mechanisms, and a respect for nature, should constitute a malicious threat to some distant, jealous god—especially when their god is not so distinct from nature in the first place. 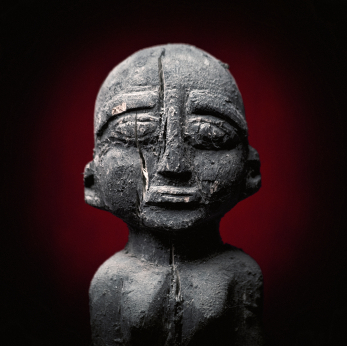 Learn more about paganism, pantheism, primal religion, and traditional African religion by visiting the Universal Life Church Monastery’s Guide to Divinity.